Taking into consideration that the manga was serialized in Nakayoshi magazine at a rate of one act per month1 while the anime needed to consistently churn out episodes on a weekly basis, it’s plain to see that there would be definite pacing differences between the two. What’s interesting, though, is that when you take the time to actually look at the data, the story flow of the Sailor Moon anime and manga are actually more similar than you would assume. A word of warning: we’re going to be looking at a lot of numbers today! As we can see, though it differed on a season-by-season basis, on average the anime had to make 3.4 episodes per act in the original manga – and that makes sense, considering they needed to track how the manga developed on a roughly monthly basis. But what does this mean for the actual story progression, and how did they differ due to this need to add episodes? Interestingly enough, it didn’t have as much on an impact as I would have thought, though the anime did choose to pad out the story in interesting ways (and even shorten certain story arcs, it seems). Read also: What Do We Know About DALI, the Band Behind Moonlight Densetsu? In order to answer this question, I think the most clear-cut way is to look at important story events and compare how early/late they occurred and how much attention certain elements were given as a part of the total story arc. Let’s get started! As you can see here, this shows how much the series had progressed by the time the character was introduced (in percentages). 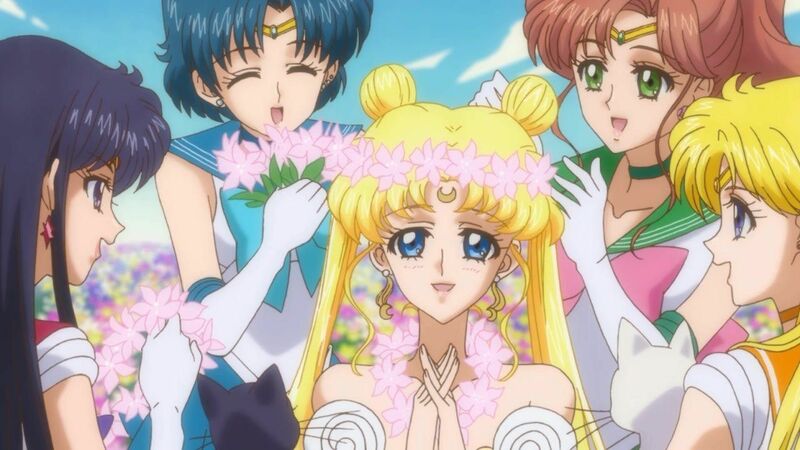 For example, Ami appeared in Act 2 of the manga and episode 8 of the anime. This works out to 15% and 17% of the way through the plot, respectively, and is actually pretty close. Rei (at act 3 and episode 10, 23% and 22% respectively) is also pretty close in the manga and anime. Makoto and Minako, however, are a different story. It seems that the anime staff wanted to take a break from introducing new characters for a bit and held back for quite a while on Makoto’s introduction, probably until they were ready to bring in the Rainbow Crystal story line. Interestingly enough, an equal (or near-equal) amount of attention was given to each of the main villains in the manga, including the end with the drawn-out battle against Queen Beryl/Metalia. How did things look in the anime, then? And… wow. Jadeite and Kunzite have around the same respective shares, but I was surprised to see that Nephrite and Zoisite actually were around for nearly as long as the rest. Of course, the padding added to them greatly impacted the post-Kunzite part of the story, which was reduced to a paltry two episodes. Overall, I think what I learned by taking a look at the actual numbers of the two tellings of the Dark Kingdom arc was that they’re surprisingly more similar than I had thought, when you take into account the volume differences. You could probably make other observations depending on how fine-toothed of a comb you want to use looking at the data (amount of times the Sailor Soldiers fight, number of days passing, side-character interactions, etc. ), but I think this makes an informative visualization. Unfortunately, this article has gone on a bit long, so we’ll have to save the analyses for the rest of the story arcs until the next part. What other interesting differences are waiting to be discussed, I wonder…? ← Why Does Fiore Look So Much Like Ail and An?